Made for those new to the industry, 2365-2 is the first step towards a career as an electrician. This course focuses on developing a sound, working knowledge of electrical installations. Get your new electrical career started with our electrician training course! Interested in a career as an electrician? The City and Guilds 2365-02 electrical training course is the industry standard introductory program for those interested in an electrical qualification. Made completely for beginners, City and Guilds 2365-02 covers a wide range of basic electrical installation skills and focuses on developing your working knowledge of electrical science, electrical theory and crafting. 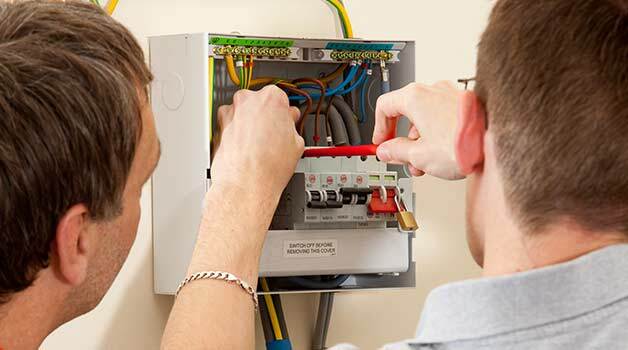 The course is an essential for those looking for electrician training. With a 2365-02 qualification, you’ll be able to progress onto further course such as 2365-03 (Level 3) and take further steps towards becoming a fully certified electrician. Note: this is an introductory course – to become a fully qualified electrician, you will be required to complete further training after this. See below for more information. City and Guilds 2365-02 is an introductory course designed for those new to the electrical industry without proven qualifications. This electrician training course is the first step towards learning the necessary skills to become a qualified electrician. Anyone new to the industry should take and pass this course before moving on to higher qualifications. There are no formal entry requirements for this course, although a strong interest in becoming an electrician and studying electrical craft is strongly recommended. Upon successful completion of this course, you will have developed a sound working knowledge of the basic principles of electrical work. Although this course will not qualify you to be a full electrician, it does however allow you to progress further onto higher level training courses to work towards this goal. This course is also offered as a combined training package including both the level 2 and level 3 qualifications. See the link below for more information.